A song to sing as a round to learn the days of the week in German. 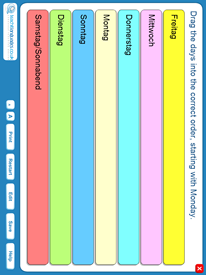 Includes an interactive sequencing starter to practise putting the days of the week in order. Great beat, very useful resource. Thanks.